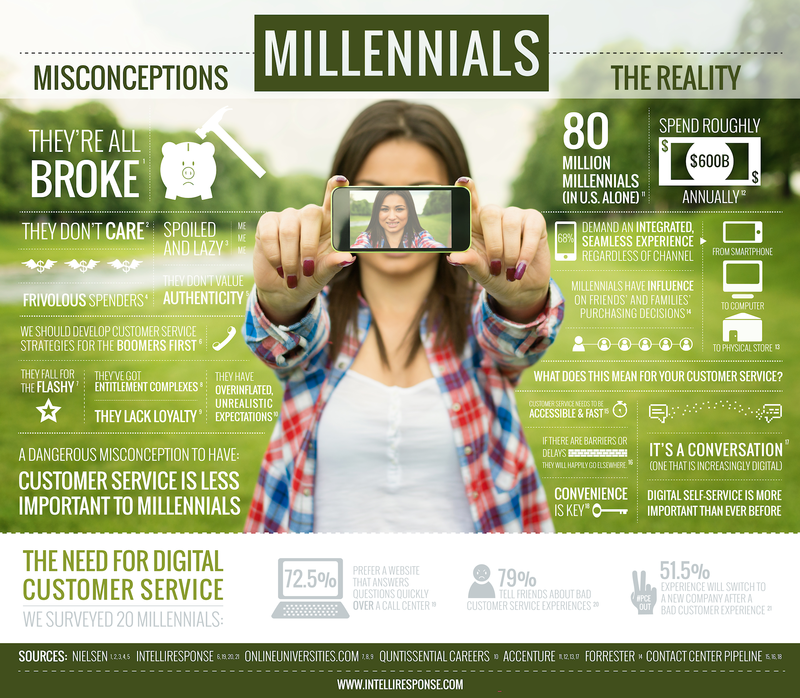 There are 80 million millennials in the United States with annual buying power of $200 million. Millennials purchasing power will only increase in the next decade and this is why advertisers are obsessed with targeting this group. For perspective, Demographers and researchers typically use the early 1980s as starting birth years and use the mid-1990s to the early 2000s as final birth years for the Millennial Generation. The only problems with this is the fact that Millennials are repulsed by advertising. This is why they gladly pay for Netflix, Spotify and Tivo so they don’t have to deal with the interruptions. 33% of millennials rely mostly on blogs before they make a purchase, compared to fewer than 3% for TV news, magazines and books. 62% of millennials say that if a brand engages with them on social networks, they are more likely to become a loyal customer. They expect brands to not only be on social networks, but to engage them. This obviously takes more labor from companies to be able to maintain social networking feeds, but it’s worth it if you want to reach millennials. With this powerful demographic data you would think small business owners would be focused on selling to this market. However, a study by Manta found only 15% of small business owners are actually marketing to millennials. Millennials want e-books, blog posts, videos, and other how-to information – and that’s inbound marketing. This demographic wants authentic content generated by the company versus generic advertising targeting the mass market. Think Dollar Shave Club versus Bic Razors. Millennials are 44% more likely to trust experts(who happen to be strangers); they are 247% more likely to be influenced by blogs or social networking sites. 1895: John Deere introduces The Furrow, a free publication with tons of farming tips and techniques to help farmers become more profitable. Today, it’s available in more than 40 countries and in 12 different languages. 1900: Michelin Tires released a 400-page auto maintenance guide with everyday drivers in mind, and also included travel tips. 35,000 copies were distributed free of charge before the company started selling the manual for a profit. 1904: Jell-O circulated free copies of its own cookbook, highlighting creative ways to use the unique product. In 2 years, the company saw sales increase to over $1 million annually. 1966: Nike released a 19-page booklet titled Jogging. It was filled with advice on enjoying running as a recreational activity, including posture and striking tips. This brought running, as a sport, to America, and it never once mentioned a Nike shoe. We think marketing to millennials is the next big thing to change shopping habits and we think now is the time to start implementing these ideas. Want help implementing these ideas?